Having moved nearly 12 million pounds of fresh asparagus around the world in the first six months of 2018, it’s safe to say that American Airlines Cargo’s team is helping consumers around the globe eat their vegetables. Growers in Mexico and Peru supply the majority of the early season asparagus for Europe and Asia. American then forwards the veggies on its widebody aircraft from a number of key U.S. hubs. "The majority of what we move is green asparagus, but we do move very small amounts of both the albino and purple varieties,” said Joe Goode, American Airlines Cargo’s managing director, Sales – Western Division. “And because they are all fresh spears, they do require careful specialized handling." "In addition to moving significant volumes of asparagus, we also move large volumes of lettuce, radicchio, tomatoes and mangoes into Asia over the same period of time," added Goode. Peak demand for fresh spring asparagus in Europe begins in mid-February and lasts until Easter, which is when the U.S. growing season starts. One of the largest markets for U.S.-grown asparagus is Asia. This spring, American carried multiple shipments of the vegetable on a daily basis between Los Angeles (LAX) and Tokyo (NRT). 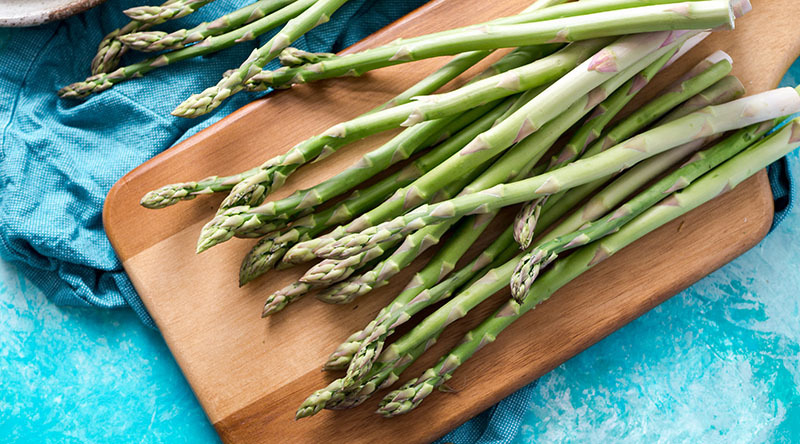 To put it in perspective, just in 2018 so far, the airline shipped enough asparagus spears to span 8.5 Tour de France routes (one of which is a collective 2,200 miles) when lined up end-to-end, or enough to fill nearly 240 space shuttles. American Airlines Cargo operates a perishables cooler at LAX that processes delicate, temperature-sensitive goods, like fruit, vegetables and flowers. The airline also has similar facilities at Dallas-Fort Worth (DFW), Miami (MIA), London Heathrow (LHR), among other key perishable hubs.